(We’re pleased to reprise this classic essay from Daniel Kay Hertz, long-time contributor to City Observatory, and now author of the newly released Battle of Lincoln Park: Urban Renewal and Gentrification in Chicago). In a rapidly growing city where the haves have more and the have-nots are being squeezed out, the bungalows offer a lesson we ought to relearn. They recall a city figuring out a way to house its people affordably, without excess. To me, they reflect a lack of materialism, housing built not for profit, but for living in. They reflect a modest approach to life, one steeped in a conservation ethic—don’t use more than you need. Seattle culture needs to find a way to get back to those values, and create a built environment that reflects it. This is one of the more eloquent expressions of something you might call the “immaculate conception theory” of neighborhood development. This narrative is common all around the country, in communities of many ages—from colonial Boston to postwar Minneapolis—and sets powerful background assumptions about what affordable, friendly neighborhoods can and should look like that inform many of our debates about housing. These assumptions mostly revolve around the idea that older housing was built the right way: ethically, modestly, with an eye to community rather than profit. These older values, in turn, highlight the faults of modern buildings: gaudy and wasteful, disruptive to existing communities, and motivated only by money. Old building: virtuous. New building: villainous. Which brings us to our next point: Far from being based on an ethic of efficiency and conservation, early 1900s bungalows represented a dramatic leap to neighborhoods that required higher energy consumption than ever before. This was true, first of all, because bungalows tended to be much larger than existing homes. While Berger marvels that one 1910 bungalow was just 1,600 square feet, the average home size at the time was closer to 1,000 square feet—making the 60 percent larger home look like a veritable McMansion. In addition, many of these new single-family-home neighborhoods, which were built much further from job centers and at much lower densities than older communities, were enabled by the boom in energy-consuming automobiles, and encouraged their use. By the 1920s, one in every two American families had a car—a figure that was much higher in bungalow neighborhoods—and public transit began losing many of its customers to driving. In the same decade, suburban population growth outpaced that of cities for the first time ever. Moreover, the bungalow era coincided with the development of zoning codes—codes that were essential, in fact, to preserving many bungalow neighborhoods’ all-single-family character. The people who advocated for these zoning codes did so by explicitly arguing that they were needed to protect the property values of homeowners and other landowners. In other words, the denizens of the early 20th century cared so much about their houses as a financial investment that they invented an entire new regulatory infrastructure to ensure that they wouldn’t lose their value. And of course, “not losing their value” was very closely tied to excluding any kinds of people who might threaten the neighborhood’s desirability. 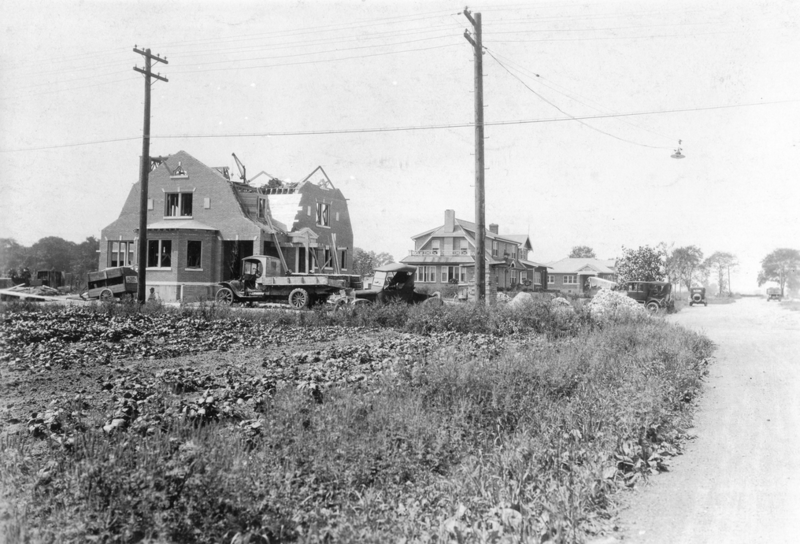 It’s impossible to talk about the development of urban American neighborhoods in the early 20th century without acknowledging that this was the period in which modern residential racial segregation emerged—a system of exclusion enforced by covenants, zoning, and violence carried out by the residents of all kinds of neighborhoods. This isn’t some separate issue from how those who were excluding, rather than excluded, built their homes and communities: it’s an integral part of the story, without which those bungalow neighborhoods may have looked quite different. Community values were also quite contentious in the first half of the 20th century. Why have we forgotten all of this? Partly because all the people in these stories are gone. We can’t see the developers laying roads and streetcar tracks to open up huge new areas for subdivisions; we can’t see the disproportionately wealthy people who were able to buy homes in a pre-FHA era when required down payments routinely hit 50 percent. We can’t talk to the people who remember, and miss, what existed in these places before bungalows. All that’s left are the buildings, which over the years have lost their sheen of newness, often becoming more affordable in the process, and allowing us to imagine our own stories about where they came from. The point here is not that bungalows are “bad.” Given what has happened in the intervening century, a return to bungalow-scale living would be a huge win for sustainability and efficient living in the many postwar suburbs and neighborhoods where homes have ballooned to much larger sizes, and development has become much more sprawling. In many urban communities, bungalows today represent a prized architectural tradition, and a form of single-family home that fits neatly into the kind of mixed urban neighborhood—along with small apartment buildings and local shopping districts—that we have long since made illegal. But there are important lessons to be learned by looking at what the bungalow era actually looked like, rather than our romantic imagination of it. One is that everything old was once new, and new things often provoke a backlash. We ought to be humble in believing that our opinions represent some timeless, objective truth, looking backwards or forwards. The same bungalows that seem to us quaint and charming were tacky and soulless to many of the people watching them be built; it seems more than possible that the new apartment buildings we vilify today will be thought of sentimentally by future generations who know them only as an important part of their city since they were born. A second lesson is that American cities have an impressive history of growing to accommodate new arrivals. 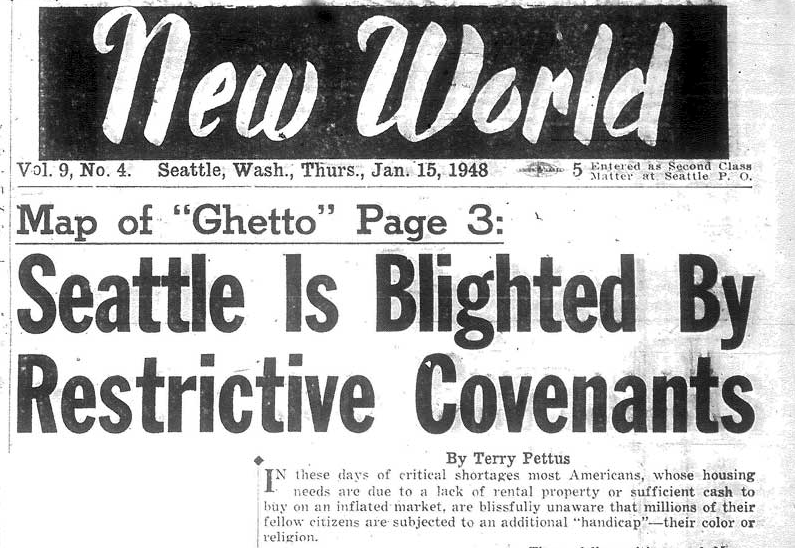 Berger leaves out of his column, as is frequently left out in “immaculate conception” stories, that the bungalow era was also the fastest period of urbanization in American history: Between 1900 and 1930, Seattle’s population grew more than fourfold, from 80,000 to over 360,000—a rate of growth approached or exceeded by many other American cities at the time. In the process, millions of rural Americans and immigrants were given the opportunity to live in newly industrializing cities where wages and quality of life were dramatically higher. Today, most of our cities have shut the door on that kind of growth. (Seattle’s growth rate today, while much higher than many other central cities, pales in comparison to the bungalow era Berger wishes we would return to.) As a result, our doors are no longer open to as many people, from this country and others, who would like to make better lives by moving to places where job openings and quality of life are high. Finally, the bungalow era suggests that building new market-rate housing that’s affordable to working-class and low-income people in urban areas is hard, especially if that housing takes the form of single-family homes. And it’s worse today: while the bungalow builders had the advantage of lots of open land relatively close to center cities, today, that “frontier” has closed. And we’re well aware of the costs—environmental, social, and financial—of continuing to push all of our growth out further and further onto the fringe. An old Seattle neighborhood with both bungalows and small apartment buildings—which were and are much more affordable and energy efficient. Rather, the deeply affordable and decent homes of the bungalow era were largely in multifamily buildings. It’s curious that, though more than four in ten of the homes built in the 1920s were in apartment buildings, that kind of construction—and those kinds of people—are entirely absent from Berger’s romantic musings about the time. But they were a crucial source of urban accommodations for people of modest incomes. As the Sightline Institute has pointed out, rooming houses and other small, multifamily homes made up a huge proportion of the affordable housing stock in cities around the country in the early 20th century. Unfortunately, a combination of regulations and market conditions has virtually eliminated that stock in most places. If we want to go return to something the 1910s and 20s got right, bringing back modestly-sized homes in multifamily buildings is a good place to start. The past does have lessons for us—we’ve made a point of championing the now-“illegal neighborhoods” that American cities built up through the bungalow era. But we have to look at it as it really was, and not through rose-colored glasses, if we want to get them right.